It’s close to the end of the year and I am thinking about what has been accomplished at the dojo this year. It’s been great with some fantastic new students. We have allot of depth in the club now and I have been able to do allot of advanced training. The beginners are blessed with many experienced practitioners who are very generous with their time and knowledge. This has enabled our newcomers to develop fast. In the last six months I have focused my instruction on technical excellence. There are many pitfalls for the long term student to fall into and resting on ones achievements is at the top of the list. Incorrect technique can become a great hindrance to one’s practice. This is made worse when a student can achieve results with bad technique so in their mind it becomes good technique. This is proven to them by the fact that they can get away with it in practice. This is erroneous thinking. 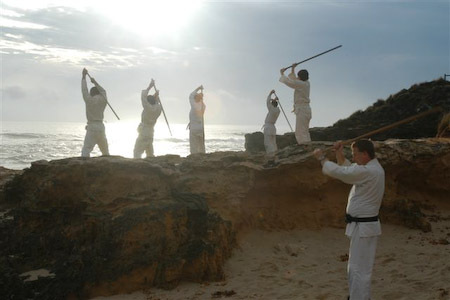 Two of the things that separate Aikido from other martial arts are the use of the “path of least resistance” and “constant improvement”, both of these require good technical ability. 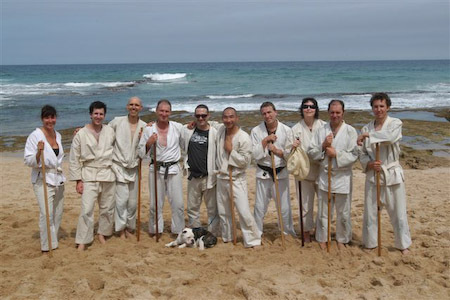 Excellence in basic technique is evidenced in self defense when an Aikido-ka is injured and technical ability sees them through, their defense remains solid. It is also evident in their ability to change strategy in an encounter, to also adapt and make the necessary adjustments in a difficult situation. In those circumstances when one faces someone larger stronger and faster technique is vital. On the mat everyday training should be a learning experience and constantly striving to better ones technical ability and mindset. This is a cornerstone of our practice. Part of Aikido is aesthetic and good technique is beautiful to behold and the same time is effective. Good technique is nothing less than the most economical method of using ones movement and energy and is the epitome of effectiveness. The annual awards look at the qualities we admire and reward those that typify this spirit. Thanks too all our students for making it such a great year. Philosophy and culture are complex things. While the sensei sets the tone and tenor of the Dojo ethos, students create conventions, practices and mores everyday in their training, therefore Pure Aikido Philosophy is comprised of O’Sensei’s, Saito Sensei’s and my own core beliefs and that of my students. 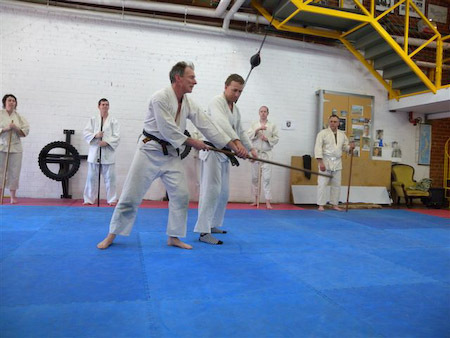 At Pure Aikido people of all abilities are welcome to train here and it is a commitment of ours to ensure that even the less able can train with the strong. We welcome different levels of commitment as we recognize that training has a multitude of roles in the life of a potential trainee. We do encourage daily training. This is the cornerstone of the most serious Aikido-ka and the effort put in is paid back in countless ways. We have a fairly informal training process but we do follow the Reigi or Japanese Budo etiquette system. There is a kyu system of rank but it recognizes levels of achievement and not hierarchy. 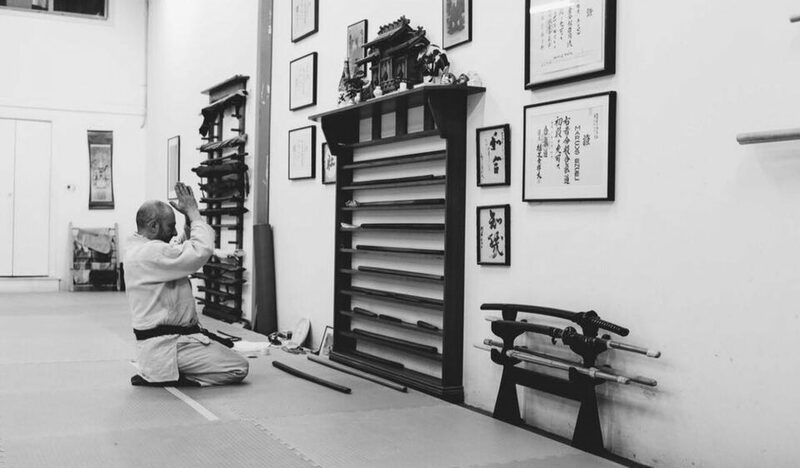 Hierarchy is dictated by time spent in the dojo. We have a flexible training method incorporating the basics of Morihiro Saito Sensei (my teacher). We do allot of self defense, henka waza and flowing training as well. Weapon training is practiced every class as is stretching, conditioning and misogi. Self defense is extremely important. Obviously it is one of then main reasons people train. Here we aim to develop self defense skill with unadulterated Aikido and skill in the basics. 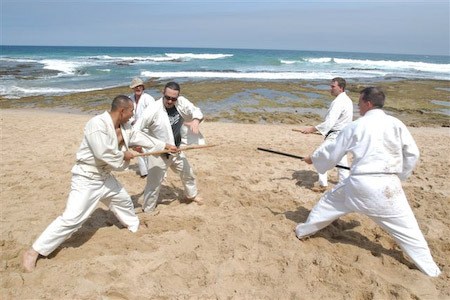 All our training is effective but to facilitate the intensity and chaos of combat, advanced students can do knife combat and sparring in various contact forms. This is by invitation only as the intensity of training means that only experienced and very tough students can participate. It is not compulsory and is by invitation only. Misogi is purification through breathing and concentration exercises. We practice these in different forms as part of our mindset, personal development and mental control. It is also related to DO in Aikido meaning enlightenment through training. This is a form of meditation. Aikido is practiced here as a form of self development. Each person has a different road to tread in this regard. Part of it is self defense and confidence, part of it are other life issues that one confronts during the training process. Individuality is prized here and everyone has a different philosophy and Aikido practice to develop. Etiquette stems from basic self defense needs, i.e. to keep safe. In traditional martial art etiquette is a practical thing but also is a method of thoughtfulness and deportment that transcends self defense. Do unto others as you have them do to you. Respect different people and their beliefs. All are welcome here if they have a positive training attitude. This is by no means an exhaustive look at our core beliefs but it is an insight into them. Please feel free to come down and train for a more hands on introduction or join our discussions online.